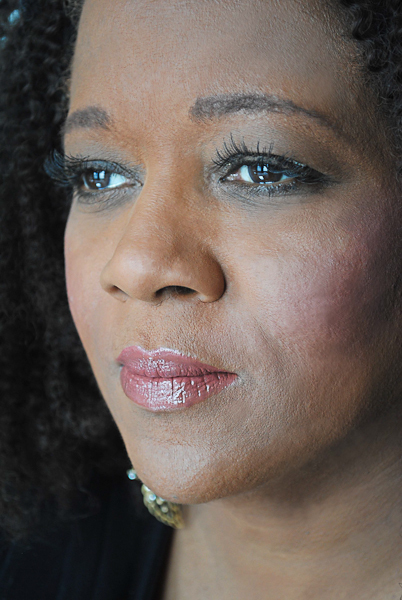 Paula West, San Francisco’s favorite jazz singer returns to the Herbst Theatre for one performance only on Saturday February 11, 2012 at 8:00 p.m. Performing with the George Mesterhazy Quartet, she will perform songs from her new CD, “Live at the Jazz Standard.” The CD features many of Paula’s best loved tunes never before recorded by her. When: Saturday, February 11, 2012, 8:00 p.m.
A long time resident of San Francisco, Paula West has been a staple of the SF Jazz scene with sold-out, long run engagements at Yoshi’s, the Plush Room, and SF Jazz Performances. She has also performed at the White House; Jazz at Lincoln Center (where she performed with Wynton Marsalis); the legendary Oak Room in Manhattan’s Algonquin Hotel; and top Manhattan jazz clubs; Birdland, the Jazz Standard and The Blue Note where she has built a loyal following. She has won the prestigious Nightlife Award for Outstanding Jazz Vocalist three times. In addition, she has enchanted critics and audiences from coast to coast – and as far away as Tokyo, Athens, Moscow, and Paris. The new CD “Live at the Jazz Standard” will be available at the concert. David Wiegand, San Francisco Chronicle, “…the creative spark that Mesterhazy and West have been making for several years is very evident” in their music making. This entry was posted on Wednesday, January 25th, 2012 at 1:50 am. It is filed under Music News/Info, New Releases and tagged with George Mesterhazy Quartet, Herbst Theatre, Live at the Jazz Standard, Paula West. You can follow any responses to this entry through the RSS 2.0 feed.